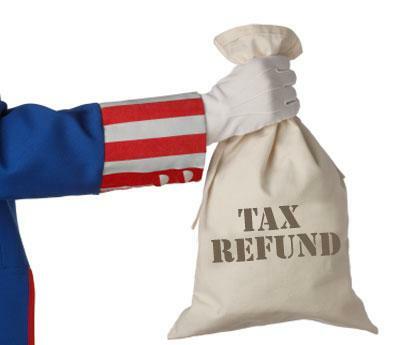 LDS Money Blog: How Will You Use Your Refund? He's no accountant; he's a magical woodland leprechaun with a pot of gold! I have no idea how Joe the Accountant comes through every year and finds money to be returned to us. We have increased our exemptions the last three years in attempt to reduce our refund, but we keep getting a big tax refund. Now, it's on to the business of figuring out what to do with this money. Did you get a refund this year, too? What are your plans for that money? We used ours to pay off a massive chunk of credit card debt. It feels so good not to have that weighing on me any more.